- Yes, you finally found a group who has your best interest in mind. We keep our content free to benefit you. It would be appreciated if you “Like” and shares our content/videos. We want you to watch/read our content that is why we create it, but we can’t make you. We do get ad revenue from this but it’s literally pennies. It does matter though with our volume we have currently and it keeps all of this free along Jonathon and myself from not having to pay for upkeep anymore. If our platforms grow to where ad revenue becomes significant, Transparent Traders and WeTradeHQ has a major project that we will create, one which nobody has ever done before and it will benefit you! Helping us helps you, and many of you are doing everything you can already. We see you and appreciate you! - Celebrate yourself as you grow as a trader and celebrate others who do as well! - We hope to inspire you to commit to doing what it takes to become successful. Not only in trading but also with everything you do in life! We hope to inspire you to always strive to never settle and be the best that you can be by doing whatever it takes. - We want you to inspire others. You can do this by building a personal relationship with others within our group. People notice the ones who always engage with everyone, they become familiar within the group and therefore people listen when they speak. - Invite others to OUR group! This group is all of ours. Have ownership in it because it is a representation of you. We do not advertise to catch attention, as leadership we must keep our eyes on growing traders without charging them or lead them to a safe place if they’re looking for a paid course elsewhere. By inviting others, you give someone the same chance that was given to you. 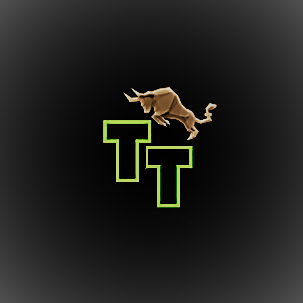 - As traders we always must look for the newest news being released. With as many eyes as we have in here, we should be able to keep up with a lot in the market as conditions charge. Currently this market is at a critical point. The market can change directions at a moment notice simply by a Tweet. Posting what you know will help someone else here, that will matter to someone by making or saving them in a trade. Commit what you expect to receive, and you will create an environment that will reciprocate back to you. - Understand the direction of the market, it changes daily. Dedicate time to studying the companies you trade, post your research regardless how in-depth or simple you may think it to be. I promise you it will help by giving a jumping off point to speed the rest of the research up so it can be posted. - Your story matters! We cannot celebrate your success or lessons you’ve learned if you never mention it. Let us know about significant wins or losses. Losses hurt, I understand this, but not acknowledging it will give your brain room to make excuses for your mistakes and the issue will remain. Others critiquing in a respectful matter is acceptable, being a jerk and ragging/trolling will result in an immediate ban. Share past stories about experiences, other groups/courses, anything you feel is relevant and what you feel could help another.